The University of Pennsylvania is now the first Ivy League institution to offer a bachelor's degree that can be earned almost completely online. Penn now is offering a Bachelor of Applied Arts and Sciences program, which falls within the College of Liberal and Professional Studies, making it the first of the country's prestigious Ivy League schools to offer an online undergraduate degree. LPS functions in the School of Arts and Sciences. The new undergraduate degree comes shortly after Penn announced the university's first online graduate degree program – a Masters of Computer and Information Technology through the School of Engineering and Applied Science, which will begin in January 2019. The program, targeted toward working adults and who the school considers "nontraditional students," requires minimal on-campus work and can be customized to fit various academic concentrations. Students need to be on campus at least twice, though, for two face-to-face residences that can last up to five days. 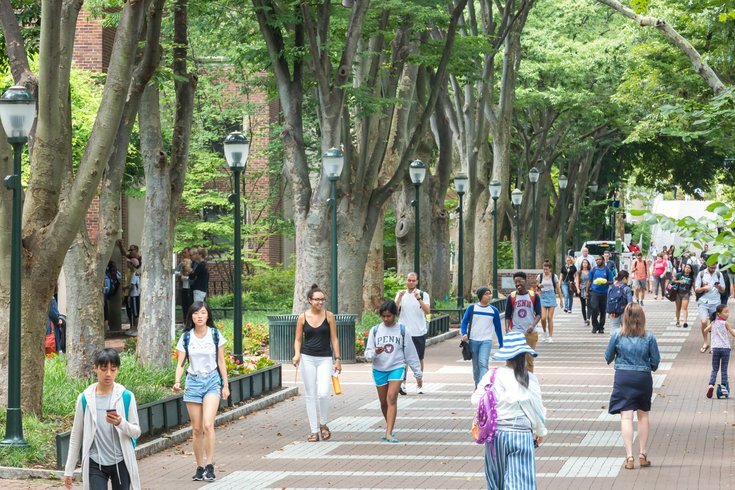 The program "redefines the notion of who can get an Ivy League education," said Nora Lewis, vice dean of professional and liberal education, in a press release Tuesday. The degree requires some standard general-education courses and interdisciplinary concentrations. The program was prepared by two advisory boards: one of faculty members and one made up of management executives from more than 20 businesses. Concentrations for the degree include creative studies; literature, culture, and tradition; organizational studies; and physical and life sciences. The program's first students will begin fall 2019.